In one of Patrick O'Brian's novels on life in the 19th century British Navy, a British fleet attacks a flotilla of Barbary pirates, who are in armed galleys rowed by Christian slaves. A British ship sails into the galleys at full speed, ramming one galley and cutting it in half. The galley slaves are chained to their oars and cry out for help as their galley begins to sink. But the British ship sails on, leaving the slaves to drown. One of the British officers is so upset by the incident that he commits suicide. Which brings me to the Department of Education's recent decision to cut off federal student-aid funding for all students enrolled on the campuses of ITT Educational Services. ITT had been subjected to a number of state and federal investigations, but DOE's decision to shut off the spigot of federal money was a death sentence for ITT. Within a few days after DOE's action, ITT shut its doors. If all the allegations against ITT are true, this for-profit institution deserved to be shut down. But what about ITT's 45,000 current students, most of whom took out loans to pay their ITT tuition? What about the thousands of former ITT students who are trying to pay back their student loans? Will DOE offer these poor folks any relief? 1. If you are currently or were recently enrolled at ITT, you may be eligible to have your federal student loans for your program at ITT discharged. 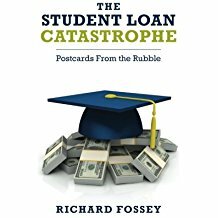 Your federal loan debt will be wiped away and you will have the option of restarting your education somewhere new. . . .
2. If you wish to continue to complete your program at a different school--especially if you are close to graduating--you may be eligible to transfer your credits. It is important to note that transferring your credits may limit your ability to have your federal loans discharged. Closed school discharge may be an option if you enroll in a different program that does not accept your ITT credits. In short, King gave ITT students two choices: Current ITT students or students who recently withdrew from ITT (within 120 days before ITT closed) can apply to have their loans discharged. Other students can try to transfer their ITT credits to other institutions, which may or may not accept them. In my view, King's letter is very much like sinking a pirate galley and allowing the poor galley slaves to drown. Let's face facts. Most of the students who attended for-profit colleges got a substandard educational experience. Many former students claim to be victims of high-pressure recruiting tactics and misrepresentations about the quality of the programs that were offered. Almost half of a recent cohort of for-profit college students defaulted on their loans within 5 years of beginning repayment. All the problems in the for-profit college sector were plainly laid out in Senator Tom Harkin's Senate Committee report that was released several years ago. The for-profit college sector is collapsing. Corinthian Colleges filed for bankruptcy, University of Phoenix has seen its enrollments drop by half, Stock prices in the for-profit college industry have plummeted. There is only one fair thing for DOE to do. All students who attended a for-profit college that closed or has been found guilty of widespread fraud or misrepresentation should have their student loans discharged. I repeat--all students. And these discharges should be administered en masse without requiring for-profit students to go through a burdensome administrative process. This won't happen of course, because releasing for-profit college students from their student loans would cost the federal government tens of billions of dollars. But again I say, let's face facts. Most of these students were ripped off by the for-profit college industry and most will never pay back their loans anyway. But Secretary King prefers to behave like the nineteenth century British Navy. DOE is sinking the bad guys but allowing innocent victims to drown, chained down like galley slaves by massive student-loan debt.